LARGE REQUIREMENT | SHORT LISTING IN PROGRESS. 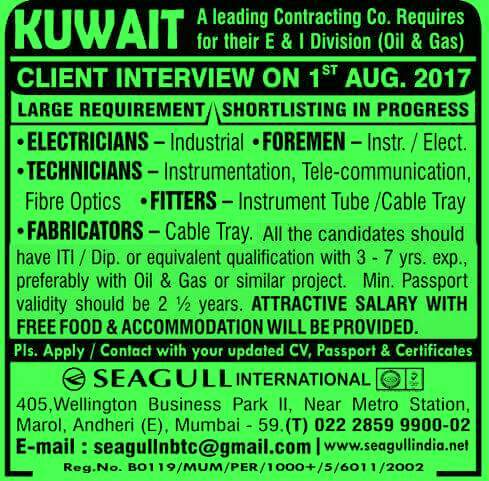 All candidates should have ITI/Diploma or equivalent qualification with 3-7 years experience preferably with Oil & Gas or similar project. Attractive Salary is offered with free food, accommodation. 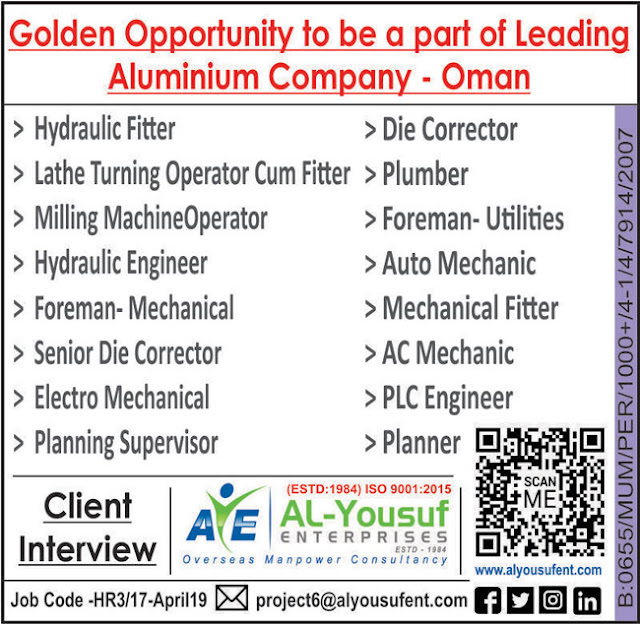 Please apply/contact with your latest updated CV, Passport, Passport size photographs, Educational, Professional & Experience Certificates.